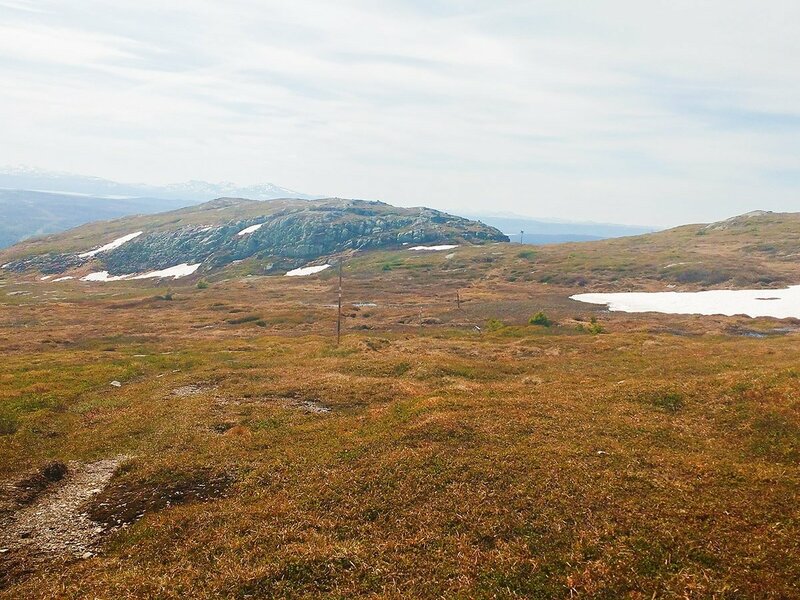 Located very close to Åre, Mullfjället is a beautiful hike with majestic mountain scenes all the way up. Behind small waterfalls and many mountain lakes - it´s perfect for a hot summer day! 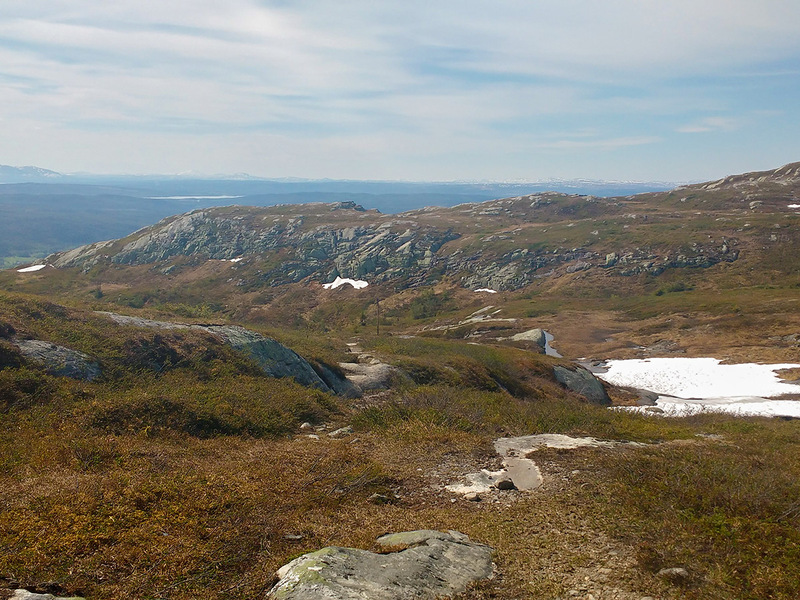 This hike starts and ends on Hamrebackens parking lot in Duved.  You can search for “Lennart Brunnhages väg 6” on Google Maps . From Are, take the E14 for 10.0km to Duved. From the parking lot in Duved, you walk on a gravel path over the hill, which is a ski slope in the winter. You will have brooks on you right side all the way up to the top. As you ascend, your bones will feel the lactic acid build-up, however if you look around at the beautiful views you will soon forget this is hard. When you come to a house you will be welcomed by a windbreak, a perfect first water break! Then you keep following the track 205 behind the windbreak on a cozy path through birches, brooks and also a little waterfall. You will also pass many little mountain lakes that are perfect for a refreshing dip. 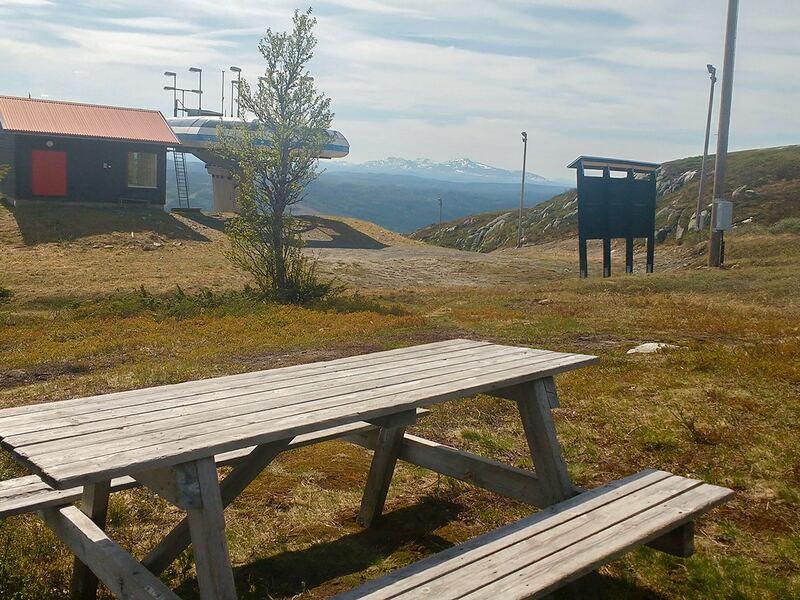 Once you reach the top you will have a 360 view over Åre mountains, Norways mountains and the landscape Härjedalens mountains. Here is also a little house you can take protection from the wind. The way down will be the same but with more time for views. When you come down to the slope you can choose between taking the same road down which is the shortest or detour to the right for a little longer path but through a forest. Better for your knees also. The locals have made this path so it will not have a track, so you can just follow it on the GPS. It will also end at the parking lot. One of Sweden’s biggest waterfall “Tännforsen” is just 15 minutes car driving from Duved. Well worth a visit! 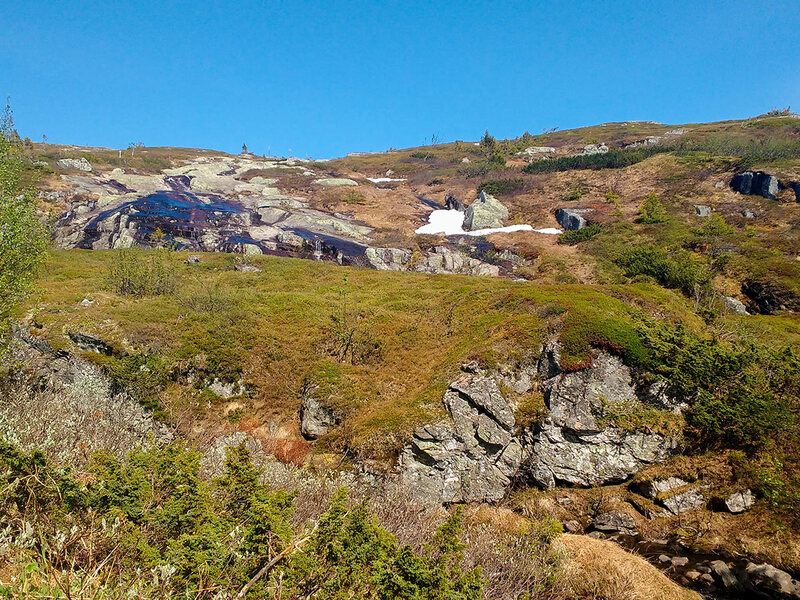 The forest lake on the mountain is perfect to take a swim in, so don´t forget your bathing suit! If you want to continue the hike you can turn left on the top to take another route down. Little longer but you will end up in the same place. 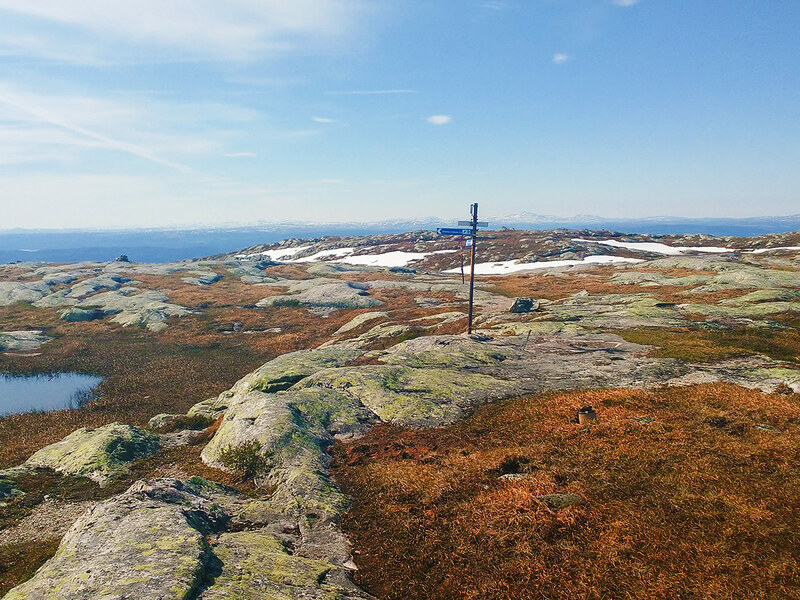 Sweden is the home of gems like this hike. Always a pleasure to visit this area!